Once more, I am baffled. What does the mole intimate here? Aspirants to luxury often opt for red and gold, hues long-soaked into their mentalities as the spectra of royalty. There are no kings these days, in these cities. Just moles. Red drapes two stories tall hang from assembly-line pins, floor to ceiling, cinched at the waist by gold sashes and shod with gold tassels. Gold trim traipses the edges of the red tablecloths, a scheme repeated in miniature on the napkins nuzzling the men’s crotches. In the deep red carpet beneath their feet gold creatures, refugees of no identifiable myth-system, writhe in pools of lava. Red and gold, damnation and greed. Gold the trumpets and saxophones, red the cheeks and noses of the musicians from all their plangent huffing. It is the annual party of the elevator inspectors (for those who know already that I am translating a book about elevators and their inspectors). IF this is about people trapped in the infrastructure of a city, epitomised by its elevators, I suspect moles are the near-sighted, subterranean animals who never venture into the sunlight. They are 'low' animals' in the sense they are living in the dark in the dirt, although they are not considered dirty. 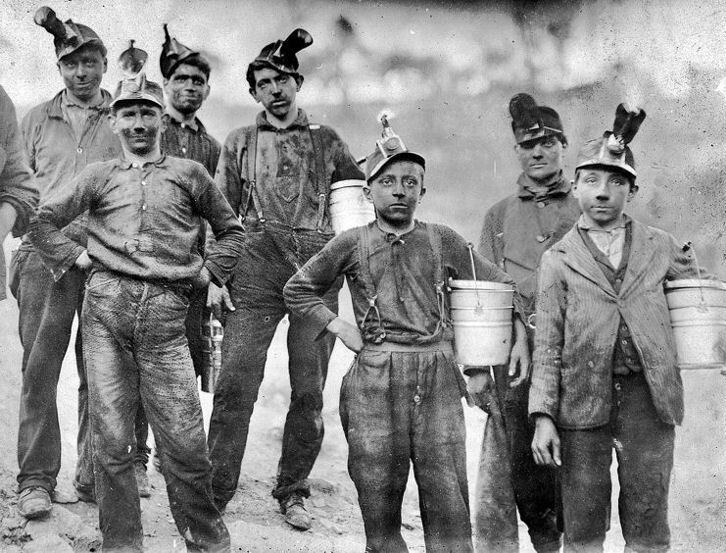 They they are hardworking but meek; dull brown, hidden and unconsidered. They spend their lives in their underground tunnels, rarely emerging into the world outside. The opposite of kings, who flaunt themselves, live idle lives, and stride about in the sunlight wearing their coloured robes. I am not aware of any idiom pairing the two together, but in many aspects moles are the the opposite of kings, so I think that makes sense. I can't see any reason to suspect skin lesions, deep-cover spies, harbour defences or Avogadro's number of atoms! I've not read this book, so I'd ask this: is the city enclosed in just one enormous building? If the inhabitants of the city spend their entire lives in the city, rarely venturing outside of it, then Thar's underground mole, rarely venturing above, is the genesis of the term. The people in the city are living like moles, rarely venturing out. This is a pretty common science fiction trope. Oh, good, RuthP, thank you for that nuance! It is indeed, in a way, as you say. Not necessarily for all the city dwellers, but for the elevator inspectors for sure. "Verticality, architectural and social, is at the heart of Colson Whitehead's first novel that takes place in an unnamed high-rise city that combines twenty-first-century engineering feats with nineteenth-century pork-barrel politics. Elevators are the technological expression of the vertical ideal, and Lila Mae Watson, the city's first black female elevator inspector, is its embattled token of upward mobility. When Number Eleven of the newly completed Fanny Briggs Memorial Building goes into deadly free-fall just hours after Lila Mae has signed off on it, using the controversial 'Intuitionist' method of ascertaining elevator safety, both Intuitionists and Empiricists recognize the set-up, but may be willing to let Lila Mae take the fall in an election year. As Lila Mae strives to exonerate herself in this urgent adventure full of government spies, underworld hit men, and seductive double agents, behind the action, always, is the Idea. Lila Mae's quest is mysteriously entwined with existence of heretofore lost writings by James Fulton, father of Intuitionism, a giant of vertical thought. If she is able to find and reveal his plan for the perfect, next-generation elevator, the city as it now exists may instantly become obsolescent." Ruth P wrote: I'm going to have to find this book! Me too. Looks interesting. Thanks, JJ. From what I understand, I don't think there are kings - just those of new wealth who try to simulate a kingdom with gold and red. Yes, do read the book. I find it much better than the preaching, shoving-it-in-your-face The Underground Railway (which I have also translated, so I have read carefully), even though the latter made a lot of noise, unlike The Intuitionist. This one is subtler, more ingenious, smarter and slier. And has a better style, to my mind (I judged myself to know English vocabulary to a decent degree, but I have been checking the dictionary hundreds of times, even with words I supposedly was sure of). A true work of belles lettres. I don't think it is spies, for two reasons. 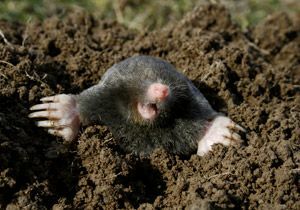 Firstly, not everyone can be a mole - if everybody is working for someone else - who are they spying on! And secondly, the opposition set up between kings and moles. The two are just too unrelated for it to merit a literary juxtaposition. Meek animals, on the other hand - that does contrast. 'Mole' could even be considered a colour, because of the rich colour of the fur. You can buy moleskin for blisters. Amazing how square the moles are! I never could understand 'moleskin trousers' though. I read that at some point and just thought 'how many moles would you have to skin to make a pair of trousers? And if you have to sew them all together, how uncomfortable would that be to wear? That really confused me. Apparently 'moleskin' fabric is cotton with a soft pile - which is more logical but much less interesting. I had never bothered to look it up before, and I think I prefer my mental image of lots of tiny pelts sewn together - probably by mice tailors. Or is that too much like cannibalism? Now everytime I cut a piece to use mole skin on my feet I won't be able to unsee the picture you just painted! I'll be cutting tiny mole fur bodies. when the blackleg miner creeps to work. there goes the blackleg miner . . .